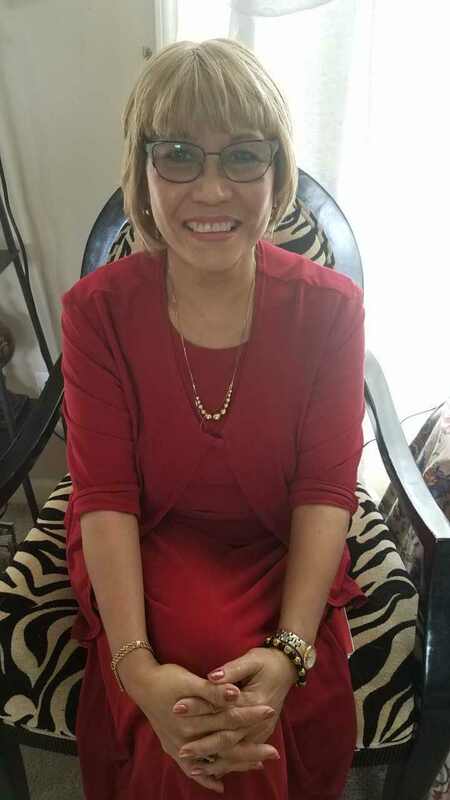 Erlinda Jardeleza Tunguia age 61 of Gallatin, passed away September 24, 2018. Mrs. Tunguia was born June 1, 1957. She was preceded in death by her parents, Ernesto and Presentacion Gordoncillo Jardeleza. She is survived by her husband, Santos Tunguia; two daughters, Guia Tunguia (Sem) and Emirlaine Tunguia; two sons, Jericho and Saer Tunguia. Visitation will be Thursday, September 27,2018 from 9am- 8pm at Alexander Funeral Home and Cremation Center in Gallatin, TN. Funeral Service will be Friday, September 28, 2018 at 11am at Our Lady of the Lake in Hendersonville, TN. Our heartfelt condolences to you Bong and your children. Eternal rest unto Linda oh Lord and let perpetual light shine upon her. Thank you for the friendship, your kindness and the cheese cakes! May your love ones find solace in the knowing that you are now free of from all earthly pains and agony; and that you are now back with God and in sacred bliss. Our deepest condolences to Bong, their children and to the rest of her family. Ate Linda we will miss your smile and kind heart. She was a strong and courageous woman that showed us all the passion Christ has on our life now and when we are finally called home.Our deepest condolences to the family and may God shed light on family to show them the way during this time. Peace be with the family, our prayers for all the family. It’s terrible to hear about your loss and I express my sincere sympathy to you(kuya Bong ) and your family. I offer you my thoughts and prayers and well- wishes during this dark time in your life. My heart is aching , she will be missed by all of us.